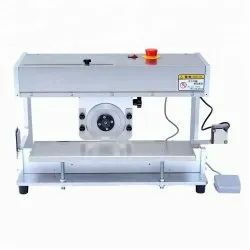 Prominent & Leading Manufacturer from Noida, we offer pcb separator with multi-group blade, pcb cutting machine bench type, multi blades v-cut pcb cutting machine for led board, pcb separator with moving cutting blade and conveyor belt, pcb separator manual hand push and pcb separator with moving cutting blade. 3. Equipped with necessary security device. 5. Output is under data surveillance : boot time, yield, trouble shooting and automatic repulsion system. 8. Distance between each two blades is adjustable in 8 to 25MM. 1. two blades(up and down) each group,work as a Unit. by Group-C. 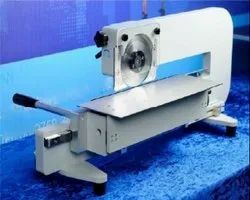 Since each separation is short , internal strength decreased 80% compared with old way of separation, in this way, the Board won`t get deformed, especially the Board of Aluminum. blades won`t jump out of shallow V-slot. 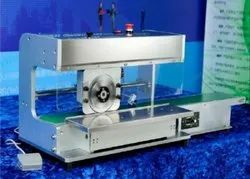 it ensures blades can accurately move along the same slot that previous blade worked on. 6. 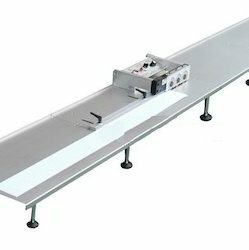 Able to extraly configure platform of stainless steel, of size 1.2 meter and 2.4 meter. 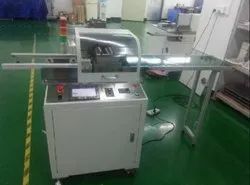 11.Multi Blades V-cut PCB Cutting Machine for LED Board. 4. minimize internal pressure to avoid solder crack. 7. Blade is made by professional factory of taiwan, the material is the high speed steel from Japan. 10. Motor is from Taiwan, full warranty and after-sale service, simple operation on maintenance. 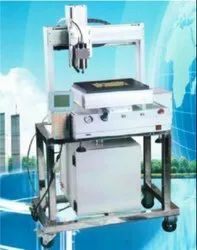 PCB could be taken off automatically after work is finished, this machine could communicate directly with front machine , such as SMT magazine Loader. Self-correction on error of PCB installation, make sure it matches request of high accuracy. Safe door for isolation from noise and dust. 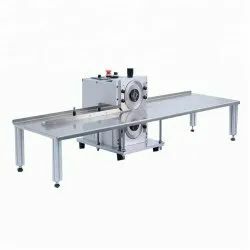 Able to connect with feeding equipment, and divide them onto plate.